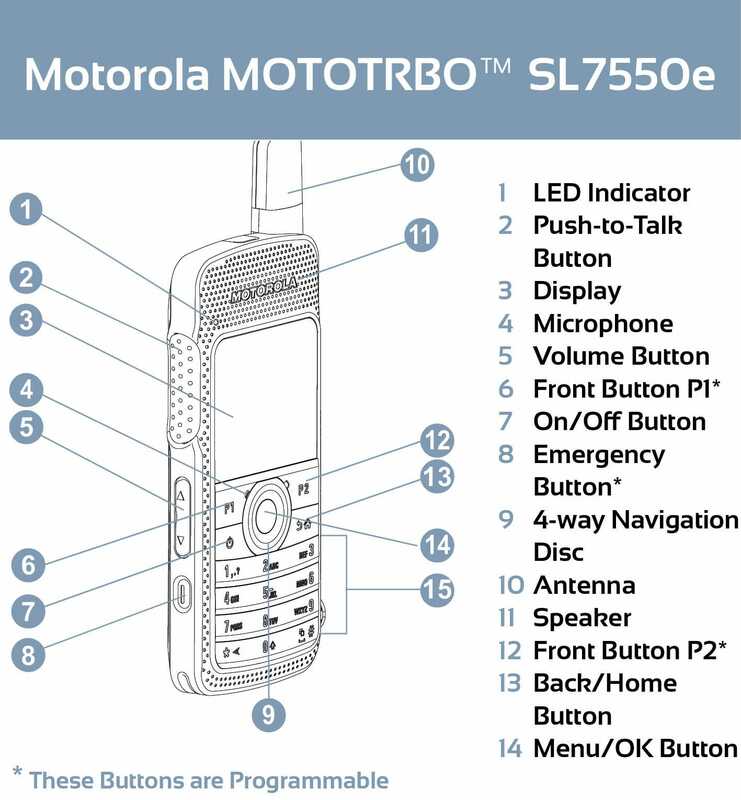 Motorola built the SL7550e to offer the style of a slim radio with all of the advanced MotoTrbo features found in the top of radio line. The Motorola SL7550e radio is the only radio on the market that features a full-color 5-line HD display in a sleek small size. The on-screen menu is flexible and can be configured to give you quick access to your most important features, keeping the radio easy to use when you need it most. The integrated photo sensor automatically adjusts brightness on the screen to your environment. There is even a “day/night mode” that changes screen and illuminates icons to make them clear and readable in varying light conditions. When your security staff is busy watching out for your business they may not want to give away any covert advantage they have by advertising that they are a member of security until necessary. You can enable covert mode to disable the SL7550e radio display, visible LEDs, and audible tones. The radio even comes with a vibrate option to help keep your team informed of developing situations and tasks while in covert mode. These features combined with the small size of the SL7550e make it a great choice for any security group. The Motorola SL7550e radio was built as part of the MotoTrbo family of radios and has the ability to use many third party voice and data applications. To further set the SL7550e into a league of its own; the radio comes standard with an integrated work order management system. This system will allow your business to create and remotely distribute tasks to your team members saving time and increasing productivity. The work orders can be tracked and closed by your users once they are completed so you know when your team is ready for more. All of this can be done from the smallest and most feature rich two-way radio that will take your business to the next level. Explore the true experience of wireless connectivity with the Bluetooth features of the SL7550e. Have the freedom to move around without your accessory wires getting in the way and tangled, with the Motorola's operation-critical wireless accessory line. From Speaker Microphones to Earpieces, full Headsets, you will be able to go wireless for more range of motion and a safer work environment. The Motorola SL7550e's Bluetooth capabilities also enable it connect to other data devices to share information instantly, making a more efficient and productive workforce. 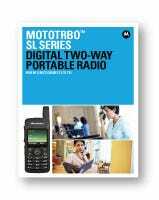 The MOTOTRBO™ "e Series" is the newest generation of digital two-way radio technology. They not only deliver the trusted communications that you would expect from Motorola. They have longer battery life, increases storage, extended range and remote software update capabilities through wi-fi connections. The Bluetooth technology built into this earpiece gives the user greater freedom of movement while keeping them connected. Users can be over 30 feet away from their radio and still be able to transmit and receive with this device. This versatile charger gives you the ability to charge 6 Motorola SL7550e Two-Way Radios with batteries still inside, or with batteries taken out. Helping you build the charging station you need to keep your radio fleet organized.